A Calendar and Events page has been added to the San Bernardino County website. 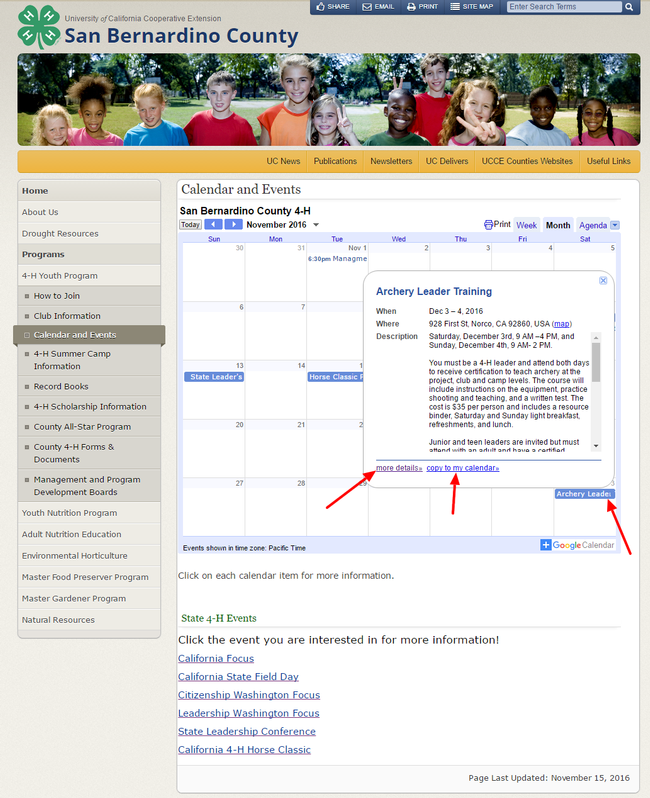 Click on the event title in the calendar (see image below) to get a pop up box with information on each event. Click on "more details" within the pop up box to open the link for this event. The link will include location, time, description and any links for registration or entry forms or other pertinent documents. If you click "copy to my calendar, it will add the event your google calendar (if you are logged in in to that calendar). If you would like an event added to the calendar, please email the title, time, location, description and any documents to slbarrett@ucanr.edu.